Putting what’s important to you as a physician in front of your patient in a way that allows them to connect with your message, is the goal of the Arche CDFE. 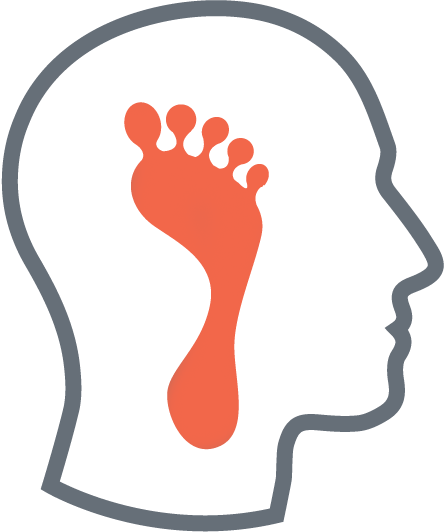 Using Arche Healthcare’s proprietary tool, PressureStat, you can show your patients those areas that are at highest risk for developing a foot wound, using their own footprint for illustration. By elevating the comprehensive diabetic foot experience, patients learn more about their own foot condition and what they need to do improve it, thus increasing their health literacy. Arche Healthcare is committed to building a community to support the patient with diabetes. This means keeping in touch with the physician who is managing their diabetes. Arche Healthcare manages the documentation procurement process for therapeutic footwear and insole prescriptions. We also believe that it is important that the physician managing the patient’s diabetes has knowledge of their most contemporary examination and risk profile. Every time an Arche CDFE is completed, the MD/DO managing the patient’s diabetes receives a copy of the results.